Like Nietzsche’s moustache or Wagner’s sideburns, Tchaikovsky’s characteristic beard is an immediately recognisable feature of the composer. 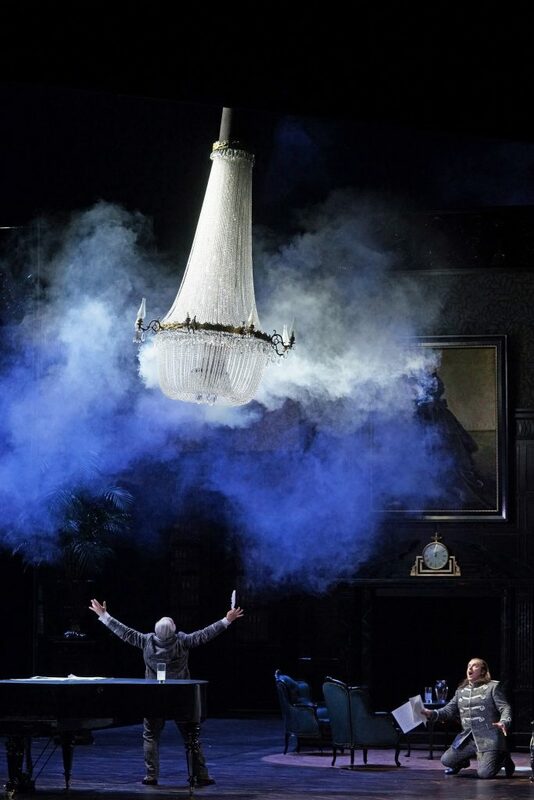 In the Dutch National Opera´s production of Pique Dame, the character, biography and sexual orientation of Pyotr Ilyich Tchaikovsky are taken as a point of departure for director Stefan Herheim. The result is a stage flooded with strikingly-bearded doubles of the opera’s composer. The opera´s anti-heroic protagonist, an officer called Hermann, is obsessed both by Liza, a young noblewoman, and the gambling secret held by her grandmother, a Countess nicknamed ‘Pique Dame’ (the Queen of Spades). While trying to wrest the secret from the Countess, he accidentally kills her. Liza, confused and desperate, tries to find out whether Hermann really loves her, but she faces a monomaniacal obsession with gambling on his part. In the end, both Liza and Hermann commit suicide: Liza out of desperation, and Hermann after having been tricked into gambling away all his money by the vengeful ghost of the Countess. Director Stefan Herheim choses to give Tchaikovsky a physical presence in his own opera. His own life story and crises are spun out during the performance, and we learn about his troubles and fears concerning his sexual orientation. In order to be able to follow this additional plotline, the listener requires background knowledge on Tchaikovsky’s life, which the director provides in the synopsis. In Herheims staging, the struggling composer also performs the part of Yeletsky, Liza’s fiancé. In the opera he is seen writing, directing and conducting his own demise. The tragedy of the opera, at times, seems to be more that of Yeletsky/Tchaikovsky than that of Hermann and Liza. At times, this concept causes inevitable clashes with libretto. When Yeletsky, for instance, declares his love and loyalty to Liza in a prolonged aria, he is forced to look away and give an awkward performance because he also feels strongly attracted to Hermann. As the director himself recognised, the libretto and the music pose some directorial difficulties, and Herheim made risky choices at some points in the opera. Most of the confusion starts as soon as Hermann, Yeletsky/Tchaikovsky and Liza are on the stage at the same time. The listener has to keep track of the development of a quasi-love triangle and two conflicting plotlines. Hermann’s obsession with the secret of the Countess is pushed a bit to the background, since it is overshadowed by Herheims added narrative. Acting tended to be pretty solid, albeit a little awkward at times. 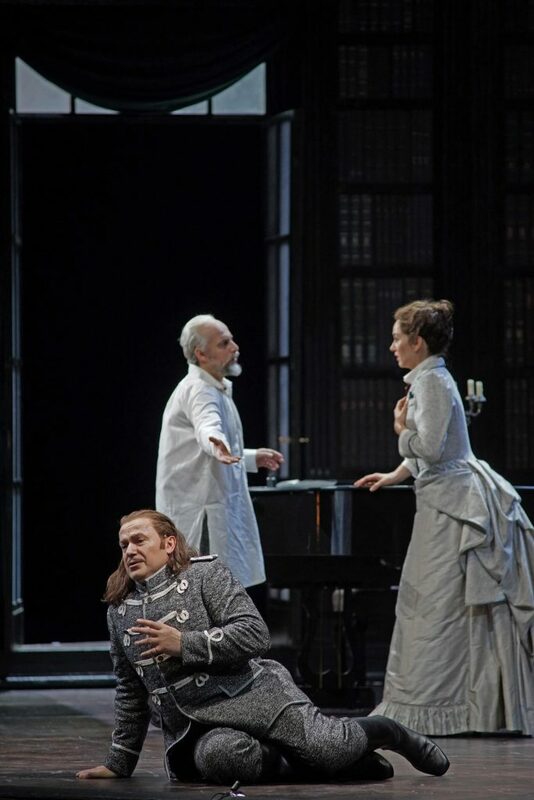 In particular, Russian mezzosoprano Larissa Diadkova sung a very convincing Countess , and Misha Didyk (Hermann) turned his character into a uncanny madman. Herheim does a good job at directing the chorus. Its choreographed enthusiasm synced nicely with Philipp Fürhofers folding set pieces. On the other hand, Vladimir Stoyanov (Yeletsky/Tchaikovsky) seemed a little ill at ease with the dual performance he was to give, and this is reflected in his acting. 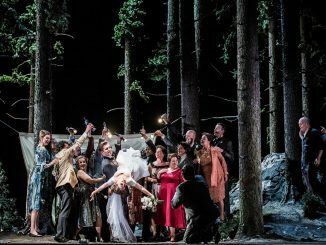 On opening night, Didyk did not sing Hermann at full power and seemed to save his energies for some of the more dramatic moments. Alexey Markov (Count Tomsky) was perhaps the vocal star of the evening, singing his ballad ‘Once in Versailles’ with great vigour. Both Liza (Svetlana Aksenova) and her sidekick Polina (Anna Goryachova) gave well-balanced and dramatically impressive performances. Mariss Jansons’ return to the Concertgebouw Orchestra constituted a glorious reunion between the former chief conductor and his orchestra. Tchaikovsky’s music was nowhere performed too harshly or sentimentally, a trap many conductors fall into where Tchaikovsky is concerned. All in all, the singers and orchestra excelled at the production’s opening night. 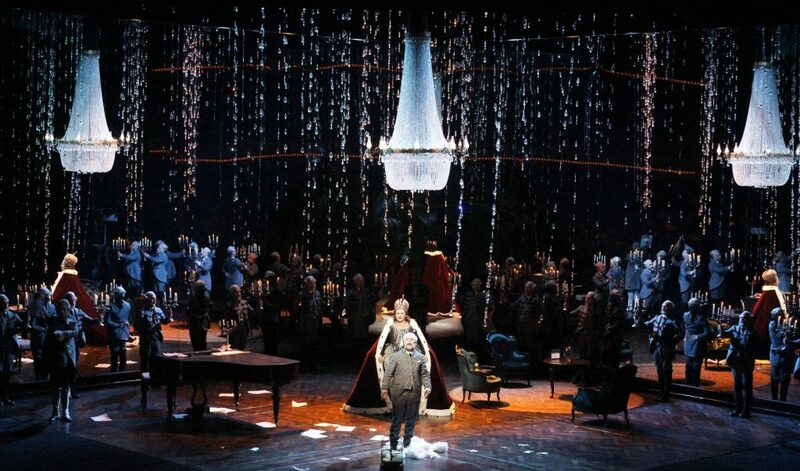 Furthermore, the scenography was marvellous and the direction of the chorus and singers provided some memorable moments. As far as the concept of the production goes, my feelings are mixed. One would think that the somewhat creepy and unhinged countess, the nervous Liza and the extremely neurotic Hermann would provide the audience with more than sufficient drama without the need for Herheim’s insertion of Tchaikovsky into his own opera. 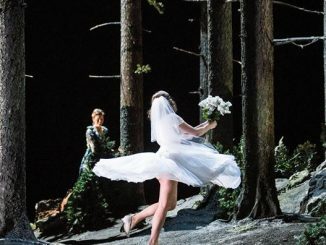 Further performances: June 15, 18, 21, 24, 27, 30 and July 3 2016 (Dutch National Opera & Ballet as part of the Holland Festival).